Stacey Stine - Visualizing Chemistry: Activity 6: States of Matter ... Complete the lab worksheet as if you were a student, and then post this on your blog. You can scan it or just take a picture of it. 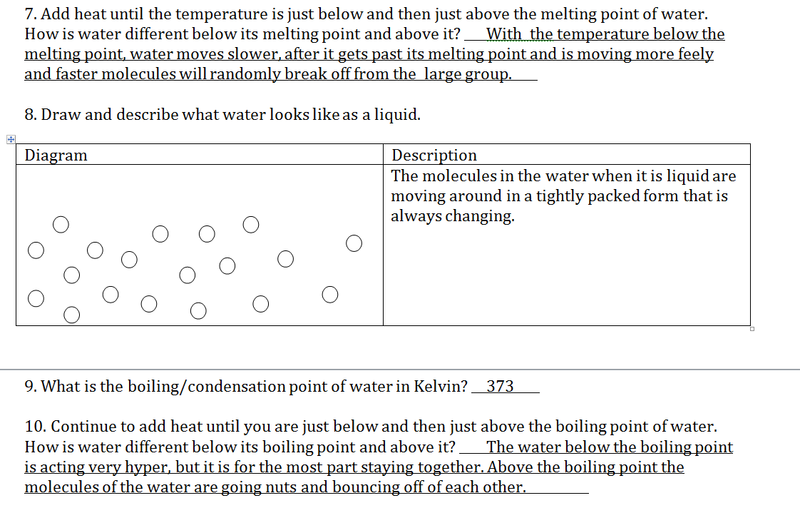 Visualizing Chemistry 105: Activity 6: States of Matter and ... Complete the lab worksheet as if you were a student, and then post this on your blog. You can scan it or just take a picture of it.